HomeBlogHome DecorArrow Hanger by Design House Stockholm. Design House Stockholm is one of the most important ambassadors of the Scandinavian Design School. Their products are consistently of high quality, innovative and as one would expect, utterly minimalistic. 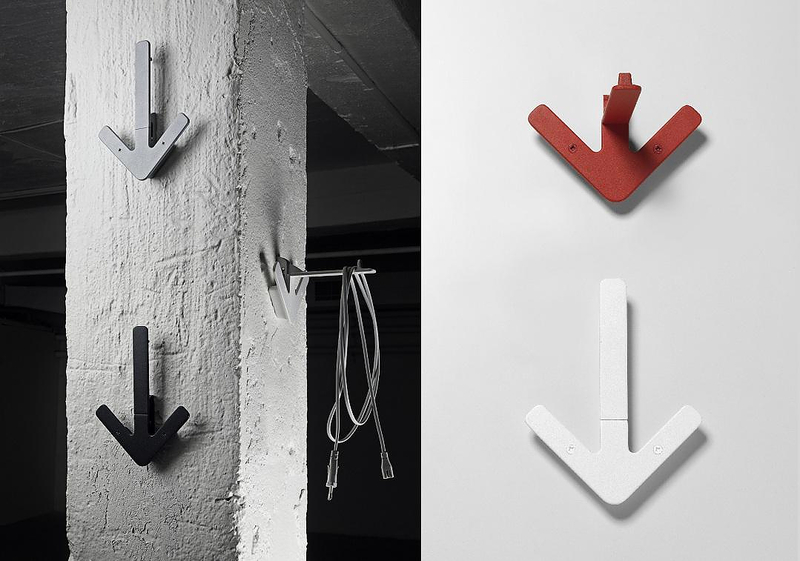 The Arrow hanger, designed by Gustav Hallén firmly adheres to the aforementioned principles. Made by precision-milled powder-coated aluminum, it is durable, functional and elegant. 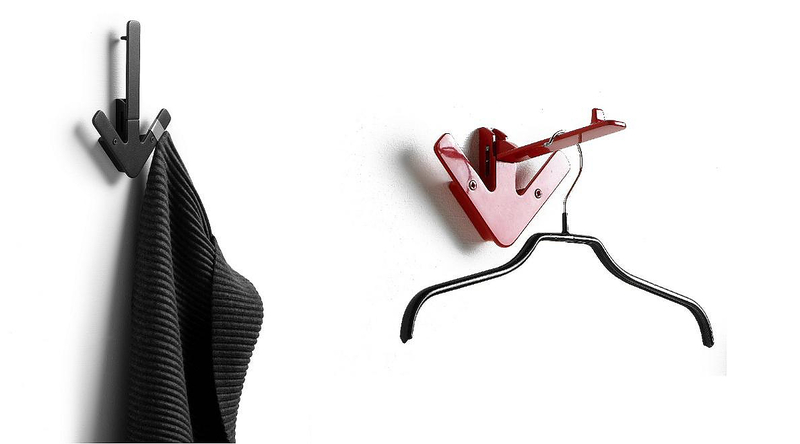 In a horizontal position the arrow hanger supports hefty loads and can be easily accommodate your daily clothes. But even if you close it there are still three hooks on which to hang various items. When not in use, the Arrow hanger will adorn the wall like an iconic graphic symbol. Even though the Arrow is just one year old (designed in 2009), it has already won a “red dot award” and a place in the permanent collection of the Modern Art Museum in New York, MoMa. Tolix Simplex Modular Coat Hook by Sebastian Bergne. Menu Wine Rack by Jakob Wagner.